Despite the market bumping along at low levels, large tanker rates have recently shown some signs of life and could find further support as we enter the second half of 2013. Demand from the US should perk up as refiners wrap up seasonal turnarounds and after several hiccups, the Motiva refinery has reportedly been ramped back up to full capacity. Highlighting this, the Energy Information Administration (EIA) reported that in the week ending 22nd March, US refinery utilisation was at 85.7% of capacity, up nearly five percentage points compared to two weeks earlier, McQuilling Services said in its latest report. However, since the start of 2013, VLCC spot rates have been under pressure as a result of the usual suspects of excess tonnage availability and relatively weak demand. The latter has been further exacerbated by seasonal refinery maintenance, particularly in the US. According to data from JBC Energy, roughly 2 mill barrels per day of North American refining capacity was scheduled to be offline during each month of the first quarter. In Asia/Pacific, refinery turnarounds are set to reach 1.9 mill barrels per day in March, an almost three-fold increase versus February and are expected to climb to 2.3 mill barrels per day in April before falling in May. These reduced throughput rates, combined with vessel availability and concerns over the global economy, has put VLCC rates under pressure. Year-to-date the voyage from Ras Tanura to Chiba has averaged WS 35 while the same period last year averaged WS 51 (Basis 2013 WS100). In addition to these seasonal factors, trading patterns continue to shift, which also helps to gradually disperse regional tonnage availability, McQuilling said. The production gains in US crude oil output are being driven by light sweet grades that are extracted from shale extractions. These are reducing demand for similar quality imports, particularly from West African countries. According to the EIA, Nigerian crude oil imports averaged just over 400,000 barrels per day in 2012 compared to over 1 mill barrels per day in 2007. As the EIA expects US crude oil production to rise by another 815,000 barrels per day this year, a further reduction in imports from West Africa seems likely to occur. McQuilling’s proprietary data showed that only 51 Suezmax spot fixtures have occurred since the start of 2013, which is about 40% lower than the same time period in 2010. As a result of this reduced demand by US refiners for West African crude oil, end-users in the Far East and Indian sub-continent are increasingly purchasing these cargoes. These economies’ strong growth, combined with the continuing expansion of refining capacity, are the driving factors behind this development. In its Medium Term Market Report, the IEA, forecasted that China and other Asian countries (including India) will add some 4.5 mill barrels per day of refining capacity between 2013 and 2017 and the impact of this is clear, McQuilling said. On routes involving the Far East and the Indian sub-continent, the upward trajectory in recent years is evident. Given the previously mentioned demand erosion from the US for West African grades and refinery expansion in the Far East and India, this momentum should continue. Voyage economics are supporting VLCC employment for these cargoes and are even diverting some vessels out of the AG. Since the start of the year, 57 VLCCs have been fixed from West Africa for discharge in the Far East, or India. Although this level is in line with year-ago levels, it is a rise of roughly 45% compared to same time period in 2010. From an owners perspective, year-to-date earnings from West Africa to the Far East (TD15) has averaged $7,200 per day, which is roughly $3,000 per day higher than earnings commencing in the AG (TD3). This premium, combined with a long tonnage list in the AG, is influencing some owners to ballast the additional 13 days to West Africa. 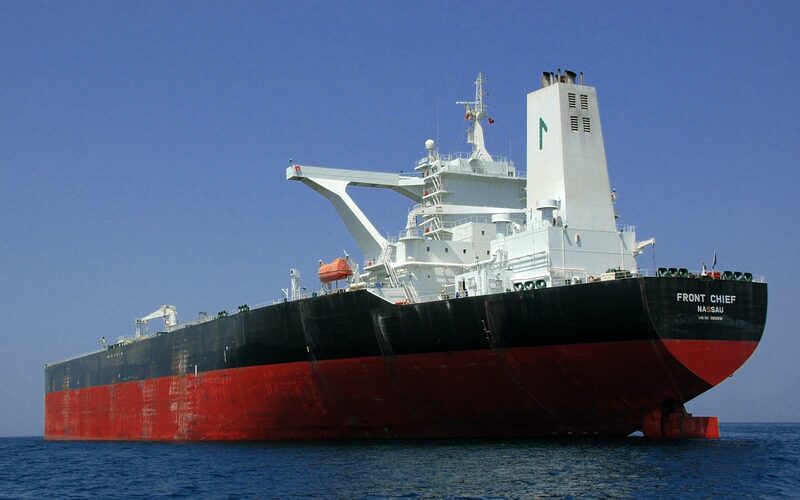 Despite this steady demand for West African oil from the Far East and India, rates for voyages commencing in the AG have failed to rise noticeably. This is partially the result of reduced loadings, due to the previously mentioned refinery turnarounds. McQuilling’s data showed that since the start of 2013, fixtures out of the AG to the Far East and India have been almost 10% lower at 227 spot fixtures compared to 2012. The same situation out of the AG has transpired with spot VLCC fixtures for discharge in the US down by about 25% year-on-year to 59. These reduced loadings are limiting any upward pressure on rates or the impact from a reduction of tonnage in the region. However, as the year continues, current projections are for global oil demand to slowly increase. The IEA forecasts that during 2Q13, global crude oil demand will be at the year’s lowest point of 89.9 mill barrels per day. Consumption figures will then start to rise and hit 91.1 mill barrels per day in 3Q13 and should close out 2013 at just shy of 92 mill barrels per day. This projected rise in crude oil consumption should provide some support to VLCC spot rates in the coming months. Furthermore, McQuilling’s net-fleet growth forecast of 16 vessels for this year, combined with vessels operating at reduced speeds, should also help spot rates climb. Owners, of older tonnage will remain under pressure from rising bunker costs and harnessing triangulated voyages will not be enough to cover operating costs. The rising demand from emerging economies and the evolution of sailing routes will continue to help disperse vessel availability. However, in order for this to have any noticeable impact on spot rates, some owners will need to make tough decisions about future opportunities based on vessel economics, McQuilling concluded. 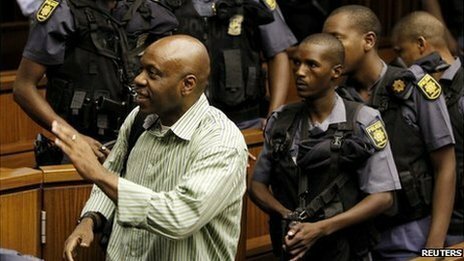 A South African court has sentenced Nigerian oil militant Henry Okah to an effective 24 years in jail. He was found guilty of 13 terrorism-related charges over twin car bombings during Nigeria's independence day celebrations in 2010. At least 12 people were killed and 36 others injured. Okah led a group which said it was fighting to help Niger Delta residents gain a greater share of the oil wealth from their part of southern Nigeria. The court established that Okah was the former leader of the Movement for the Emancipation of the Niger Delta, Mend. He also received a 13-year jail term for threats made to the South African government after his arrest in October 2010 but this runs concurrently with his 24-year sentence. He had repeatedly denied any involvement in the bombings. Judge Neels Claassen found that the state had proven Okah's guilt beyond a reasonable doubt because he didn't testify in his own defence during the trial. But he said he found "compelling circumstances" justifying a lesser sentence, City Press reports. It would be wrong for the court to turn a blind eye to the fact that the "struggle in Nigeria was for a good cause" and said it was important to "balance Okah's political intentions with the violent nature of his crimes". South Africa's National Prosecuting Authority says it may appeal against the sentence - it had wanted life in jail. Prosecutors have argued that although Okah is not a South Africa citizen, the country had the jurisdiction to try him under the International Co-operation in Criminal Matters Act. Analysts believe it would have been too dangerous for him to be tried in Nigeria because of the presence of his militant supporters. The BBC's Will Ross in Lagos says Okah may no longer be a headache for the Nigerian authorities but the threat of instability in the Niger Delta remains strong, despite a fall in the levels of violence since a 2009 amnesty. Okah was arrested on gun-running charges in Angola in 2007 and then transferred to Nigeria but never convicted. He was released after two years under an amnesty for oil militants and he returned to South Africa, where he had lived since 2003. While Mend and other militant groups say they were fighting for a political cause, criminal gangs have taken advantage of the region's instability to make money from ransoms paid by oil companies, and by stealing oil. At its peak, the instability in the Niger Delta cost Nigeria about $1bn (£630m) in lost revenue, Reuters news agency quotes the central bank as saying. Nigeria is Africa's biggest oil producer, but most of its people live in poverty. 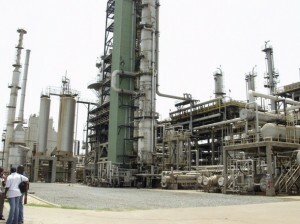 Workers at the Tema Oil Refinery (TOR) are expressing fears that the $30 million government has released to resume production at the site will go waste if President John Mahama does not lead a campaign to get rid of the top politicians who are deliberately running the refinery down for private gains. They allege that these officials own or have huge shares in bulk distribution companies and profit from renting the TOR’s storage facilities to hold their imports. TOR workers suspect the so-called mafia is behind ECO Petroleum, Fuel Trade and Shelico, among other firms. As they wait to resume production this weekend, the workers’ leadership declared its intention to explore all avenues to protect the workers’ interests. Joy News’ Eric Ahianyo has been investigating the TOR situation and reports that Chairman of the Senior Staff Workers Union Daniel Fugah and Head of the Local Workers Union Emmanuel Eduah Offoh consider the situation dire. At full capacity, the Tema Oil Refinery produces 45,000 barrels per day, which is about 60 percent of Ghana’s current fuel demand. Since its establishment 50 years ago, it has undergone two major expansions, first in 1997 when the Crude Distillation Unit increased capacity from 28,000 to 45,000 barrels per day and again in 2002 when the Residual Fluid Catalytic Cracker (RFCC) was built. With the RFCC at full capacity, the Refinery can meet all the country’s LPG, Aviation Fuel and kerosene needs. Workers say TOR’s huge debt, now estimated at around $300 million, could have been avoided if politicians had not micromanaged the facility’s operations. They claim the facility is being deliberately run down by businessmen with top political links so they can sell it to themselves. They say they are tired of arm-twisting for cheap political gains and are gearing up for a faceoff with the so-called mafia. Managing Director of the Refinery Ato Ampiah has denied knowledge of any such mafia. He said the major problem facing TOR is the continuous under-recovery due to subsidies on petroleum prices. He said with the current production levels, there is a need to rely on companies to import finished products to cover shortfalls in production. He is convinced that with full cost recovery and proper investment, the facility will operate at full capacity. The shift from the US from being a net importer of gasoline and distillate products to becoming a net exporter has continued. This switch occurred in 2010 and since then the pattern has continued with figures for 2012 standing at a combined 0.7 mill barrels per day of gasoline and distillate imports compared to over 1.4 mill barrels per day of exports, reported Gibson Research in its weekly report. This growing volume is attributed to the large increase in distillate exports, which totalled over 1 mill barrels per day in 2012. Traditionally, the US has been perceived as a gasoline importer, which explains the importance of TC2 as a leading benchmark for the MR trade. However, in 2012 more than 155,000 barrels per day less gasoline was imported than seen in 2011. Gasoline exports also fell but only by 58,000 barrels per day. Global demand for gasoline remains strong. However, in the US distillate production for export has been favoured over gasoline because of higher diesel margins, Gibson said. This has led to increased refinery investment in hydro-cracking capacity to boost distillate yields. In contrast, gasoline yields have suffered leading to declining investment and even closures of catalytic cracking facilities needed to produce gasoline - Hess closing its 65,000 barrels per day Port Reading cracking facility in February being the most recent example. Logistical constraints, such as pipeline congestion, limit the ability to move excess gasoline from some US refineries. Further hampering in supply chain comes with the requirement for expensive Jones Act vessels, which means that, particularly on the US East Coast, importing gasoline can be cheaper than producing, Gibson said. Pipeline conversions within the US would help to ease the logistical imbalances and indeed many are already taking place but they are expensive and time consuming, thus do not provide a quick solution. witness the US import statistics for gasoline change this year, which bodes well for TC2, as the volatility in earnings already seen during the first few months of 2013 suggests. With export volumes, particularly distillates, being at record levels, the backhaul trade from the US should also prove fruitful for those who can get it, Gibson concluded. During the last part of her ballast voyage from Sao Sebastiao in Brazil to Skikda in Algeria, NORDEN’s 47,400 dwt MR ‘Nord Integrity’ was allowed to drift 280 miles, thus saving 27 tonnes of fuel. According the the latest edition of NORDEN News, the vessel, operating in the Norient Product Pool (NPP), had so much time to spare after bunkering in Las Palmas that her Captain- Rohit Minocha - after consulting the company’s operations department in Hellerup, decided to stop the main engine. During the following three to four days, the vessel drifted 280 nautical miles towards her loading destination – using only the wind and sea current. This unusual initiative resulted in savings of 27 tonnes of fuel corresponding to $17,064, NORDEN claimed. The voyage, undertaken by wind and current alone, complied with all safety regulations and ‘Nord Integrity’ reached the loading destination just in time and ready to load condensate for later discharge in Rotterdam. Head of NPP operations, Jens Malund Jensen, said; ”This is a captain who is capable of thinking out of the box. Not everyone gets the idea to use nature’s own forces like that. After all, the merchant fleet of vessels switched to engine power several decades ago, so it requires innovative thinking to consider using wind and current as the only driving power. "In addition, the captain has understood to use the local wind and current information optimally. Lots of fuel was saved – also of benefit to the environment, the voyage was safely performed, he reached the destination in time, he avoided to sit at anchor in the loading port, and he contributed to better safety at the loading port because the less crowded, the higher the safety. Everything and everyone benefited from his decision,” he said to NORDEN News. He also said that the unusual voyage between Las Palmas and Skikda was the result of a good co-operation between the vessel and NPP’s operations department and between NORDEN and the owner of the long-term chartered vessel. This co-operation had developed over several years and encourages the partners to have a close and open dialogue, as well as being proactive and thinking out of the box. ”The longer we continue down this track, the more good initiatives will also be presented to us. Optimisation of all voyages is crucial for our business. That is why I wish to share a success story as this one from ‘Nord Integrity’ in the hope of a repeat, when time, wind, current, traffic in the area and the market make it possible again,” said Jensen. For the sake of good order, he added that a vessel carrying a cargo would never sail by wind and current alone. For laden vessels, the general principle for seaborne transports applies – ie ‘utmost despatch’, meaning that the cargo must reach its destination as fast as possible. SGS has received a contract for rope access maintenance and inspection services from Engen for the preservation and corrosion protection of storage tanks and piping insulation at its refinery in South Africa. Over the last three years, SGS has been awarded several projects to provide diverse services at the Engen refinery and, provided SGS delivers the continued quality service to which our client has grown accustomed to, does not anticipate an end-date to this particular project demanding continual maintenance. In February 2013 alone, Engen has chosen SGS to complete in excess of twenty different projects at the refinery due to the professional and invaluable services SGS provides. Ground-breaking and unique SGS methods of protecting equipment from corrosion by means of rope access is saving Engen money on costs traditionally generated by expensive scaffolding. SGS experts will remove old paint and rust on the storage tank exteriors with an ultra-high pressure (UHP) water jetting system. These surfaces will be repainted via qualified rope access as well as a customized tank crawler for which SGS is the singular provider in South Africa. Due to harsh operating and environmental conditions and corrosive chemicals, industrial equipment installations and plants are all subject to high rates of corrosion which can lead to structural damage, leakage, costly repair, lost or contaminated products, environmental contamination, risk to personnel and decreased public confidence. SGS corrosion monitoring services continually focus on critical equipment to avoid catastrophic failure and maintain safe and reliable operations. In South Africa, highly qualified SGS engineers, certified inspectors and material specialists will develop a unique corrosion management strategy to meet the specific needs for the Engen refinery. SGS will bring unrivaled experience, knowledge and equipment necessary to offer a full range of corrosion monitoring services. SGS experts will detect and monitor corrosion to determine corrosion rates, identify potentially hazardous conditions, locate structural defects and flag material non-compliance. SGS strategies will promote a proactive culture of safety and substantially reduce maintenance costs. SGS professionals will calculate the remaining life of equipment and implement cost-effective inspection and maintenance programs for items with a high probability for failure. SGS solutions will ensure the integrity and safety of the Engen refinery assets and contribute to the successful health, safety and environmental (HSE) management program. Locations such as off-shore farms and industrial plants and buildings often prove difficult for inspectors to access. SGS industrial rope access services offer safe inspection, testing and structural surveys in areas or heights proposing such difficulties. SGS rope access services assist in carrying out essential inspection, testing and survey work of hard-to-reach assets quickly and safely with minimal disruption to other operations while offering a cost-effective alternative to traditional access methods such as scaffolding or mobile elevated work platforms. A leader among industrial rope access services providers, SGS boasts an exemplary safety record. SGS technicians undergo extensive training and independent assessment every three years. In addition, SGS membership in the Industrial Rope Access Trade Association (IRATA) guarantees all rope training and operational work compliant with international guidelines. SGS will conduct thorough external inspections with the unique method of implementing rope access along with tank crawler capabilities to save time and ultimately reduce cost in the maintenance of tank surface paint coatings at the Engen refinery. SGS is proud to serve Engen in this particular project promoting industrial safety in South Africa. SGS is the world's leading inspection, verification, testing and certification company. SGS is recognized as the global benchmark for quality and integrity. With more than 75,000 employees, SGS operates a network of over 1,500 offices and laboratories around the world. The average price of benchmark OPEC crudes held above $100 a barrel for a 173rd trading day, the gauge’s longest-ever stretch at this level. The so-called OPEC basket, a weighted average of the main grades produced by the Organization of Petroleum Exporting Countries, was at $106.36 a barrel yesterday. Its spell at higher than $100 since July 17 surpasses a previous 168-day record set from Feb. 21, 2011, to Sept. 30 that year. Brent, used to price more than half of the world’s crude, climbed as high as $119.17 on Feb. 8 amid signs of economic recovery in the U.S. and China, and concern that political conflicts in the Middle East and North Africa may lead to a disruption in supplies. OPEC members earned in excess of $1 trillion from oil sales for the second straight year in 2012. The OPEC Reference Basket of Crudes is composed of Saharan Blend from Algeria, Girassol from Angola, Oriente from Ecuador, Iran Heavy from the Islamic republic of Iran, Basra Light from Iraq, Kuwait Export from Kuwait, Es Sider from Libya, Bonny Light from Nigeria, Qatar Marine from Qatar, Arab Light fromSaudi Arabia, Murban from the United Arab Emirates and Merey from Venezuela. The Progressive People’s Party (PPP) has called for full scale investigations into the current state of the Tema Oil Refinery’s (TOR) inactivity. It alleged that because some “mafias close to government” were benefiting from the dormancy of the refinery through importation of finished fuel products, they were bent on ensuring that the refinery remained permanently dormant. A leading member of the PPP, Mr William Doworpkor, who addressed the media to mark the first anniversary of the certification as a political party in Accra last Friday, said the investigation must unravel how much had been collected as TOR debt over the years. He wondered why the government would turn deaf ears to workers of the refinery who had insisted that the operations of TOR would mean that at least 50 per cent of the nation’s refined fuel needs could be produced by TOR, a situation that would generate income to the nation. Giving the party’s vision, Mr Doworpkor indicated that the PPP was determined to disband forever “the mafia that has deliberately disabled the TOR in order to award themselves and the cronies’ contracts to import finished products at the expense of the tax payers”. Even before the recommendations of the Constitutional Review Commission (CRC), Mr Doworkpor gave the strongest indication that the PPP would institute another constitution review to push for certain amendments to the Constitution when it was given the mandate to govern the country. Top on the list is the establishment of an independent Public Prosecutor’s office, separate from the Ministry of Justice, strengthens Narcotics Control Board into an agency, abolish the provisions that allow Members of Parliament to be appointed ministers, the use of electronic voting, among others. He noted that the PPP had some problems with the electoral system and after the 2012 elections wrote to the Electoral Commission (EC) for discussions on the way forward but the commission was yet to even acknowledge receipt of the letter. He said the PPP recommendations included the full use of the electronic voting system and that the machine to be used must be designed by a Ghanaian firm in collaboration with an international counterpart, adding that every political party that met the Political Parties Law would be granted a seat on the board of the voting machine company. This, he explained, would eliminate the increasing phenomenon of rejected ballot. LAGOS (Reuters) - Nigeria's President Goodluck Jonathan has pardoned a former state governor convicted of stealing millions of dollars of public money, his office said on Wednesday, a move condemned by anti-graft activists, including the man who brought him to book. Diepreye Alamieyeseigha, ex-governor of oil producing Bayelsa state and ally of Jonathan, was sentenced to two years jail in 2007 on charges of corruption and money laundering. It was the first case of a top politician being convicted for graft in the nation's history. He served just days of his sentence after spending nearly two years in detention awaiting trial. The pardon will enable him to re-enter politics if he chooses. Anti-corruption campaigners say sentences handed down to powerful politicians for graft are too soft, and are often less than those handed to petty thieves and robbers. Nuhu Ribadu, former head of the Economic and Financial Crimes Commission (EFCC) that prosecuted Alamieyeseigha, said the pardon was "shocking and unbelievable". Alamieyeseigha was originally arrested in London in 2005, but he skipped bail and escaped back to Nigeria dressed as a woman. He was later impeached on the charges at home and authorities made efforts to seize much of his British property. Jonathan proposed the pardon on Tuesday and the council of state, which comprises former heads of state, a former chief justice, sitting governors and the national assembly, approved it on the same day. "The council of state ... met yesterday and approved pardons for many Nigerians, including ... former Bayelsa governor DSP Alamieyeseigha and many others. I think about eight of them," presidential spokesman Doyin Okupe said on Channels TV. Bayelsa is the heart of the Ijaw ethnic group, to which Jonathan and Alamieyeseigha both belong. The region accounts for a quarter of Nigeria's 2 million barrels a day plus of oil production. "It's very sad and ... it will have a terrible effect on the fight against corruption," Ribadu told Reuters by telephone. "The message this is sending out is that corruption is OK. It's telling law enforcement agencies and judiciary: 'don't waste your time anymore' ... 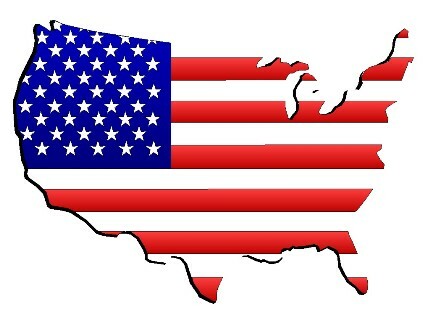 I feel sad for my country." Ribadu headed a team that produced a report on Nigeria's oil and gas sector last year, detailing how the country had lost tens of billions of dollars in oil and gas revenues over the past decade because of corrupt deals between oil majors and officials. The reaction of the Jonathan administration to that report has been largely just to ignore it. "We thought what was going on was not really encouraging, but now this is really the worst development," Ribadu said. Had Alamieyeseigha not fled Britain, he may have faced an altogether stiffer sentence, as another governor of an oil producing state, James Ibori, found out last year. Ibori was convicted in London of embezzling 50 million pounds ($79 million) last year and got a 13-year prison term, which he is serving in Britain. He is expected to serve at least half of it. Also on the list of those pardoned was General Shehu Musa Yar'Adua, older brother of former President Umaru Yar'Adua. He was sentenced to life by military dictator Sani Abacha for calling on him to restore civilian rule. He died in jail. One of the core functions of the Tema Oil Refinery (TOR) is to process crude oil for domestic consumption, but close to a year now its production can best be described as erratic. Though there are strong indications that a mafia group was working behind the scenes to ensure that the state-owned refinery did not work, its management insists some of its machines have broken down, resulting in the nightmare they are going through. But, as the refinery struggles to be on its feet, there are reports that its management has resorted to the recruitment of more managers. A source, which spoke to The Chronicle, alleged that the refinery had just appointed as many as 40 managers to man the various departments. The source did not understand why a company that had temporary stopped production should be appointing such a huge senior management staff. The source was also not happy with management’s decision to run the shift system for the workers, and paying huge sums of money for that, when there is no work for these staff to do. TOR management has, however, denied all these allegations, insisting that they had not employed 40 new managers as was being alleged. According to the Public Affairs Manageress of TOR, Ms Aba Lokko, who spoke to The Chronicle via phone yesterday, the entire refinery has only 28 managers, and that it would be absurd for anyone to assume that they had appointed 40 new managers. According to her, for the past months, the refinery had appointed only six managers to replace those who had either retired, resigned, or were dead. She expatiated that promotions were not carried out anyhow at TOR, and that there was a committee, which has a representatives of the workers union serving on it, that looked into the issue of promotion. Aba Lokko told The Chronicle that if a department requests for a manager, the department would have to justify the basis for its request before the Promotion Committee, and that there were no blanket promotions or appointments at TOR. On the issue of running a shift system, Aba Lokko said though they were currently not refining crude oil, it did not mean that the workers had nothing to do when they come to work. She noted, for instance, that the distribution department was working every day, because of the services TOR is rendering to its clients. Meanwhile the Ghana News Agency reports that Mr. Ussif Mustapha, New Patriotic Party (NPP) Member of Parliament (MP) for Yagba/Kubori in the Northern Region, is advocating against the sale of the Tema Oil Refinery (TOR) by the government. He said the move by the government to sell the country’s only refinery was against the will of the majority of Ghanaians, and urged the government to rescind its decision. Mr. Mustapha disclosed this to the Ghana News Agency in an interview in Accra on Friday. Mr. Mustapha, who is also a member of the Parliamentary Select Committee on Energy, said Ghana was discovering oil in commercial quantities, and that TOR, instead of being privatized, should rather be expanded to meet the increasing demand of oil and gas in the country and other neighbouring countries. He said the government of the National Democratic Congress, which claims to boost the private sector, should rather develop a programme that would allow the private sector to go into an agreement with the government to construct a new refinery. Mr. Mustapha also noted that there were many private companies in the country which could construct a refinery, even without the financial support of the government, but they were not getting the support and opportunity. He appealed to Ghanaians to resist the government’s decision to sell TOR, and advised his fellow MPs to kick against the matter if it is brought to the floor of Parliament. On Tuesday, Japan became the first country to ever successfully extract natural gas from underwater deposits of methane hydrate, a frozen gas sometimes referred to as "flammable ice." The breakthrough could be a boon to the energy-poor nation, which imports almost all of its energy. And if the technology proves commercially viable, it could benefit other countries — including Canada, the U.S., Norway, and China — that are also seeking to exploit methane hydrate deposits. Japan has reportedly spent hundreds of millions of dollars in pursuit of flammable ice, a Holy Grail that could satisfy the country's future energy demands as Japan weans itself off nuclear power in the aftermath of the leak at the Fukushima Daichii plant. Japanese officials are virtually giddy at the prospect. "Japan could finally have an energy source to call its own," proclaimed Takami Kawamoto, a spokesperson for the Japan Oil, Gas, & Metal National Corp. (Jogmec), the government-run company that is leading the effort. According to The New York Times, "Methane hydrate is a sherbet-like substance that can form when methane gas is trapped in ice below the seabed or underground." Jogmec says there are at least 1.1 trillion cubic meters of the stuff in the trough where it is currently drilling, just off the Pacific Coast. If Japan can perfect its extraction technique, the area would provide the country with enough natural gas to last 11 years. Japan's waters reportedly contain a total of 7 trillion cubic meters of flammable ice, which would supply the country with natural gas for many, many decades to come. How does the drilling process work exactly? "Japan used depressurization to turn methane hydrate to methane gas," says Reuters, "a process thought by the government to be more effective than using the hot water circulation method the country had tested successfully in 2002." The technology, however, is still in its infant stage. At the moment, it's far too expensive to be sustainable, though Japan hopes to have a commercially viable model in place by 2019. Furthermore, flammable ice remains something of a mystery, which could result in technical glitches and setbacks in the future. "We are studying many things that are not yet known about methane hydrate," according to Kawamoto. Still, Japanese officials point to the U.S.'s recent natural gas boom as evidence that technologically complex drilling processes can result in an energy bonanza. The U.S.'s production of natural gas has skyrocketed due to hydraulic fracturing — or fracking — of shale rock, an intensive process that has become widespread in recent years. Fracking remains a controversial technique, with environmentalists claiming that it could do significant damage to the environment. So far, scientists know little about the impact flammable gas extraction could have on the environment. Illinois deal on fracking could be national model. Oil industry, environmental groups team up to draft regulations for fracking in Illinois. CHICAGO (AP) -- After years of clashing over the drilling method known as hydraulic fracturing, or "fracking," the oil industry and environmentalists have achieved something extraordinary in Illinois: They sat down together to draft regulations both sides could live with. If approved by lawmakers, participants say, the rules would be the nation's strictest. The Illinois model might also offer a template to other states seeking to carve out a middle ground between energy companies that would like free rein and environmental groups that want to ban the practice entirely. "The fact that Illinois got there," was significant, said Brian Petty, executive vice president of governmental and regulatory affairs at the International Association of Drilling Contractors. "Anytime you can bring the lion and lamb to the table, it's a good thing. But it's so highly politicized in lot of places" that compromise could be difficult. Fracking uses a high-pressure mixture of water, sand and chemicals to crack and hold open thick rock formations, releasing trapped oil and gas. Combined with horizontal drilling, it allows access to formerly out-of-reach deposits and has allowed drillers to move closer to populated areas. The industry insists the method is safe and would create thousands of jobs — possibly 40,000 in the poorest area of Illinois, according to one study. Opponents say it causes water and air pollution and permanently depletes freshwater resources. In New York, where a fracking moratorium is in effect until a health study is completed, one activist said Illinois environmentalists caved in when they should have pushed harder to block fracking. Merchant. 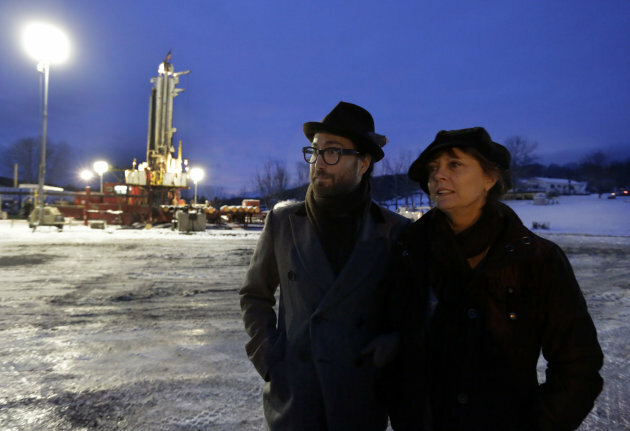 "It was not their job to help pave the way for fracking to move into Illinois. It was to protect the environment." But Michigan's largest environmental coalition might be willing to take a cue from Illinois if lawmakers decide that fracking should be part of Michigan's energy mix. "We would love to see that kind of bipartisan cooperation," said Hugh McDiarmid, spokesman for the Michigan Environmental Council. The Illinois bill "has a lot of good ideas and a lot of things ... that mirror what we're trying to achieve in Michigan" because stopping or banning fracking would be unrealistic. That's exactly what motivated some Illinois environmental groups to sit down with industry, lawmakers, regulators and the attorney general's office. In Illinois, it came down to "do we accept the invitation to go to the table or walk away and allow industry to write the rules?" said Allen Grosboll, co-legislative director at the Chicago-based Environmental Law and Policy Center. "For us to say we were not going to participate and drive the hardest deal we could to protect environment would have been totally irresponsible." The Natural Resources Defense Council supported a failed attempt at a fracking moratorium last year. So with lawmakers clearly ready to allow fracking in southern Illinois, the NRDC wanted to ensure there were significant safeguards, including making drillers liable for water pollution, requiring them to disclose the chemicals used and enabling residents to sue for damages. "One of the positive things here has been the table to which a wide range of interests have come ... to address the risks in an adult way," said Henry Henderson, director of the NRDC's Midwest office. "We have gotten over the frustrating chasm of 'Are you for the environment or for the economy?' That is an empty staring contest." Negotiations took place over four or five months, primarily at the Statehouse in meetings led by state Rep. John Bradley, a Democrat who lives in the area where fracking would occur, participants said. Bradley whittled negotiators down to a core group — four from industry, four from environmental groups, plus representatives from the attorney general's and governor's offices, regulatory agencies and lawmakers, said Mark Denzler, vice president of the Illinois Manufacturers' Association. That group was pared even further for the toughest negotiations, which included discussions with outside technical experts on complicated issues, said Ann Alexander, an NRDC senior attorney. "I won't say there weren't times that voices got raised a little bit, but ... it's a very good model of cooperation," Alexander said. "It beats the (typical) model of having drafts furtively circulating ... or emerging at the last minute when nobody has had a chance to read them." The deal was done by late February. It has yet to be considered by a legislative committee, which would have to endorse the proposal before sending it to the full House. With oil companies leasing millions of acres around the country in a rush to extract oil and gas reserves, more states will face similar challenges. Although Illinois' proposed regulations might not work for every state, the unusual model of cooperation might, depending on the relationship between industry and environmentalists, Denzler said. Even now, though, Illinois' agreement is "very precarious," and his group has warned that any attempts to change it before it comes for a vote "could tip it one way or another." More than 170 bills were introduced in 29 states last year to regulate oil and gas drilling, according to the National Conference of State Legislatures. Only 14 became law. Many were simply to define whether local, state or federal government could regulate fracking. The bills don't include regulations drafted by state regulatory agencies, rather than lawmakers. California state Sen. Hannah-Beth Jackson said Illinois was able to negotiate many of the same protections she wants in her state, where energy companies are eying a shale formation near Santa Barbara that may have four times more oil than North Dakota. She said regulations proposed by the governor's office were inadequate. "It would be wonderful, frankly, if we could get everybody to sit down," said Jackson, who introduced a bill to regulate fracking wastewater. "In California, there is the perception the companies are stonewalling and do not want to be subject to any oversight. I think if they are willing to sit down and talk, that would certainly be best way to do it." Environmentalists and industry have worked together to control pollution in the past, including on individual fracking issues in some states, though none was as comprehensive as the Illinois bill. But many environmental groups would rather forbid fracking completely. "You can't regulate fracking to be cleaner," said Dan Jacobson, legislative director of Environment California. "We're at such a tipping point with climate now." Even in Illinois, some environmental groups don't support the bill and are mobilizing to seek an outright ban. On Saturday, fracking opponents interrupted Bradley while he spoke at a conference in southern Illinois. They plan another protest Monday, at a conference of county officials. Bringing both sides together "is something that should absolutely happen," said Steve Everly, spokesman for Energy in Depth, the educational arm of the Independent Petroleum Association of America. But he said environmental groups that participate "have to continue to support" the regulations afterward. "If you put together the right formula, you can move forward," he said. It is possible that there will be more collaboration to establish better safeguards for air, water and climate, said Mike Brune, executive director of the Sierra Club. "But as we learn more about the true impacts of gas, and more and more communities are questioning whether we need it at all ... we'll definitely see more conflicts." Just 2 weeks until StocExpo 2013 - still time to register! - still time to register! It's nearly time for StocExpo 2013, the world's fastest growing tank terminal event, taking place from 19th - 21st March in Antwerp, Belgium. Don't miss out on this opportunity to attend your industry event – THERE'S STILL TIME TO REGISTER! "As a visitor, I was very impressed by the number of exhibitors and the high level and scope of equipment and solutions presented at the show. StocExpo is, for us, THE event not to be missed. I will come back next year for sure." "I personally feel that StocExpo is one of the most interesting events regarding liquid bulk storage. Latest state of the art technologies, regulations & compliance and an informal networking environment perfectly match together during this event." "We work in a refinery, so it's of great value to see the new technology in the industry. Every year there is a broad range of exhibitors at the show and it's a good way of meeting new companies. We will certainly be attending StocExpo Antwerp 2013." We look forward to welcoming you to Antwerp. Valero Energy plans to expand its Benicia refinery in northern California, US with the addition of a new crude oil terminal. The project will cost $30 million (€23 million) and, according to My San Antonio, will feature an off-loading facility and rail access. The company has submitted an application to the city of Benicia and, if approved, could break ground on the terminal this year with completion expected for 2014. Valero Energy says the new terminal will help its refinery remain competitive by reducing the amount of foreign crude oil and offsetting it with cheaper North American domestic crude from Canada and the Bakken Shale plays in North Dakota and Montana. Mr. Ussif Mustapha, New Patriotic Party (NPP) Member of Parliament (MP) for Yagba/Kubori in the Northern Region is advocating against the sale of the Tema Oil Refinery (TOR) by Government. He said the move by the Government to sell the country’s only refinery was against the will of majority of Ghanaians and urged government to rescind its decision. Mr. Mustapha disclosed this to the Ghana News Agency in an interview in Accra on Friday. Mr. Mustapha, also a member of the Parliamentary Select Committee on Energy said Ghana was discovering oil in commercial quantities and that TOR, instead of being privatized should rather be expanded to meet the increasing demand of oil and Gas in the country and other neighbouring countries. He said the Government of the National Democratic Congress which claims to boost the private sector should rather develop a programme that would allow the private sector to go into agreement with Government to construct a new refinery. Mr. Mustapha also noted that there were many private companies in the country which can construct a refinery even without the financial support of Government but they are not getting the support and opportunity. He appealed to Ghanaians to resist Government’s decision to sell TOR and advised his fellow MP’s to kick against the matter if it is brought to the floor of Parliament. The Obama administration today moved one step closer to approval of the Keystone XL pipeline, concluding in a draft environmental impact statement that the project would not accelerate global greenhouse gas emissions or significantly harm the natural habitats along its route. The report, done by the State Department, suggests that the proposed 875-mile pipeline, which would carry 830,000 barrels of crude oil per day from the tar sands of Alberta, Canada, to Steele City, Nebraska, has cleared a significant hurdle on its way to President Obama's desk for final consideration. "The approval or denial of any one crude oil transport project, including this proposed project, really remains unlikely to significantly impact the rate of development of the oil sands or the continued demand for heavy crude oil in the U.S.," said Kerri-Ann Jones, the Assistant Secretary of State for Oceans and International Environmental and Scientific Affairs. The State Department, which conducted the study because the pipeline would cross an international boundary, also suggested in a voluminous report that impacts on air, water and landscape would be minimal. The agency found it "very unlikely" that the pipeline would affect water quality in any of the four aquifers through which it crossed. It also concluded that along one part of the proposed route, in the case of a large-scale oil spill, "these impacts would typically be limited to within several hundred feet of the release source, and would not affect groundwater." Government analysts found that Keystone XL would each year produce the equivalent carbon dioxide emissions of 620,000 passenger cars operating for a year. But they concluded that whether or not the pipeline is approved, those emissions would still likely occur because of fuels produced and obtained from other sources. The release of the draft report reignited debate over climate change and President Obama's pledge to do something about it. Environmental activists have been lobbying Obama hard to block the plan - some recently chaining themselves to the White House fence in protest. Many environmental groups see rejection of the pipeline as a litmus test for whether Obama intends to fulfill his pledge from the second inaugural. "It seems like Secretary Kerry and the State Department missed President Obama's State of the Union and inaugural address," said Erich Pica, president of Friends of the Earth. "The draft SEIS reads like an on-ramp to justify the Keystone XL pipeline project. We cannot solve the climate crisis when the State Department fails to understand the basic climate, environmental and economic impacts of the Keystone XL pipeline." Pica and other environmental advocates have called the pipeline a "carbon bomb," increasing the use of tar sands oil, which is one of the dirtiest to produce and transport. The oil industry, some members of Congress, and the nation's major labor unions, which stand to gain construction jobs with the pipeline's approval, all welcomed the news. "No matter how many times KXL is reviewed, the result is the same: no significant environmental impact," said Marty Durbin of the American Petroleum Institute, the oil industry lobby. "The latest impact statement from the State Department puts this important, job-creating project one step closer to reality," he said. "The last approval needed is by President Obama, and we urge him to do so as soon as possible." Canada, which has long lobbied the U.S. for approval of the deal, also hailed the State Department's report as a step forward. "The Keystone XL pipeline will create tens of thousands of jobs on both sides of the border," said Canadian natural resources minister Joe Oliver. In 2011, the Obama administration came close to approving an earlier version of the Keystone XL pipeline, which would have stretched from Alberta to the Gulf of Mexico. The deal was tabled after a dispute over the portion of the route through Nebraska, though officials later green-lighted construction of the southern portion of the pipeline. Nebraska, Montana and South Dakota have now all signed-off on the pipeline plan and their governors and congressional delegations have been calling on Obama to follow suit. One potential wild card: new Secretary of State John Kerry, a longtime advocate of action to combat climate change. He will play an influential role in finalizing the department's review and recommendation before presenting it to Obama, who has said he'll make the final call. ISLAMABAD: After a wait of almost two decades, the groundbreaking of $7.5 billion Iran-Pakistan gas pipeline will be performed on March 11 on the Pak-Iran border by the presidents of the two countries. Agreements for opening two more border crossings (Gabd and Pasni) and setting up an oil refinery in Gwadar will also be signed after the ceremony, a Pakistan embassy official in Tehran told Dawn. The ceremony will be held at Gabd zero point on the border from where the Pakistan section of the gas pipeline starts. President Asif Ali Zardari returned on Thursday after a two-day visit to Iran for finalising the gas pipeline deal and sorting out financing and technical issues. “We have successfully completed all negotiations,” the official said after the president’s trip. The two countries had initially planned to perform the groundbreaking on March 4, but delayed it for a week because of inadequate preparations for the ceremony. A number of foreign diplomats posted in Islamabad are being invited to the event. The pipeline issue is likely to bring Pakistan-US ties under renewed stress as Washington has been staunchly opposing the project. “It’s in their best interests to avoid any sanction-able activity, and we think that we provide and are providing … a better way to meet their energy needs in some of the assistance we’re providing,” deputy US State Department Spokesman Patrick Ventrell said on Wednesday. The project has time and again run into problems. It initially started in 1994 as Iran-Pakistan-India gas pipeline, but in 2009 India separated itself from the project to get a civil nuclear deal from the US. All along there have also been disputes over tariff. Lately, financing the laying of the pipeline in Pakistani territory has been a major issue because of US sanctions on Iran. The US pressure was so intense that at one stage even a Chinese-led consortium ditched the project. Tehran has agreed to provide a $500 million loan to partially finance construction of the pipeline on the Pakistan side, which will cost $1.5 billion. Pakistan will pay the remaining cost from its own resources. If everything else goes well the pipeline will be completed in 15 months. Iran has already completed the pipeline in its territory, while the laying of 785-km-long Pakistani section will commence now. Pakistan plans to import 21.5 million cubic metres of gas daily from Iran via the pipeline.